Wow. I just did my first wheatgrass implant of many more to come on this fast. Wow! That's all I can say. Ok I did not hold it as long as I was suppose to but I made a good beginning. One implant took half the tray! I am going to have start growing more like crazy. Perhaps you have tried wheatgrass shots at your local health food store and know how powerful they are as a cleanser, detoxifier, energizer and full body rejuvenator, but have you tried a wheatgrass implant? As an implant directly into the colon its cleansing, deodorizing, healing and nutritive values are unprecedented. Wheatgrass directly introduced into the colon is tremendously healing to the lining of the gut, helps restore proper ph, balances the gut ecology, and leaves you feeling a surge of energy and a sweet taste in your mouth all day long! What a treat/what a gift-to yourself! 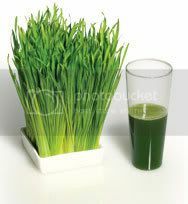 • Wheatgrass is the young wheat plant. It one of the most widely used supplemental health foods today. It is a concentrated source of vitamins, minerals, chlorophyll, and enzymes. • Fifteen pounds of wheatgrass is equivalent to 350 pounds of choice vegetables! Juicing unlocks the nutrients in vegetables and fruits, concentrating them and making them more bio-available to the cells of the body. • A 16x16 tray of wheatgrass yields about 15 to 22 ounces of juice, depending on its length. Tablets and power are a good second choice to fresh wheatgrass juice. • Ann Wigmore introduced wheatgrass juice to America more than thirty years ago. In her books, Wigmore says it is an ideal food to nourish the body and rid it of toxins. It is especially important to anyone who suffers from pain or illness. • The high chlorophyll content of wheatgrass acts as a "magnet" in drawing out toxins from the body. Chlorophyll is an internal deodorant which cleanses tissues and is soothing and healing. • Chlorophyll, the "blood of plants", is very similar to our own blood. Its molecular structure closely resembles hemin, the pigment that combines with protein to form hemoglobin. • Start with just one ounce of wheatgrass juice per day. A therapeutic program may include as much as two or three ounces. A treatment to help heal cuts and bruises faster. One of the most powerful uses of wheatgrass is as an implant directly into the colon . Its cleansing, deodorizing, healing and nutritive values are unprecedented. You will feel the surge of good energy and taste the sweetness of its impact all day long. Enjoy!!! Last edited by shivabliss on Tue Nov 23, 2010 7:41 pm, edited 3 times in total. Hello Shivabliss; I have been reading your posts and I am very impressed and intrigued. My concern at the moment is Wheat Grass, you mentioned it is good for preventing hair loss during the Cleanse. Being post-menopausal, I will really like to avoid further loss after this Cleanse. Unfortunately, I did not learn about it before, as I am now on day 26 of a 30 day Cleanse. How does one get, or start a 'tray' ? Secondly, how are the 'shots' made ? This is my first Cleanse, so I am not very knowledgeable on truly healthy living. I am remedying that, starting with the Cleanse. I am thrilled that you are interested in growing your own wheatgrass. Here is the most basic way I can tell you how to grow it. First you will need Hard Winter Wheat Berries, most health food stores sell them in bulk bins. Get several pounds of them. In a measuring cup put 2 cups of the hard winter wheat berries and pour them into a bowl and cover them in 4 cups of water over night. Next day rinse them by placing them in a strainer basket in your kitchen sink. Spray them several times for the next 12 hours. Then plant them. To plant them, get super soil from the Home Depot. Get growing trays from ACE hardware the 16 by 16 trays you will need a half dozen of them. Put about 2 quarts of soil into the tray and water it a little. then take your sprouted wheatgrass seeds and put them in the middle like a mound, and spread them out in all directions over your moist soil. Just like you are icing a cake, the seeds sit on top of the soil Then lightly water again. Place them with newspaper over them so they get no day light for the first two days. Water twice a day, every day. Get a misting spray bottle and water that way. Don't get it soaking wet so much that mold will grow. Keep it light with the watering. On the 3rd day uncover your seeds, they will be nice and germinated and have hair type folicles growing into the soil. Place the tray in INDIRECT sunlight. Sit in shade somewhere. Here is another tip, you must prop the tray up off the ground so their is air under the bottom so it drains well. I just use a couple of bricks. Do not over water. Too much water will grow mold in the tray. Depending on how warm or cold your part of the world is right now, your grass will be ready in 6 to 14 days. Colder taking longer of course. Don't put it in direct sunlight as it will turn yellow. You can grow it indoors by placing it near a window. When grass is about six inches it's ready. Cut it as low to soil as you can, place it in a bowl and take it to the sink and wash it really good with water. I sometimes soak it in ozone for 15 minutes, but not everyone has an ozone machine. I ozone everything I eat pretty much. Anyway..... you will need to then juice the grass. Wheatgrass juicers are their own machine, other juicers won't do wheatgrass. Buy a machine from Ebay called the Wheateena. I have had mine for twenty years and it still works as good as the day I brought it home. It is solid steel, get the electric one. If you can afford it. Hand crankers work, but are a pain in the ..... you know what I mean. Start drinking it with just one ounce twice a day, morning and again in early afternoon on an empty stomach. Before you drink the lemonade, and then give it an hour of alone time in your belly before you drink water or your MC drink. Or if you do it for your fast aftercare program (highly suggested for 3 months} drink it before you eat a full hour as well. After about 4 days at one ounce, double it to TWO ounces twice a day, and stay with this for about a week, and then punch it up to 3 ounces twice a day. Don't over do at first, you will barf, it's too much. Little by little is the key. After a month or so you will be able to drink more possibly depending on how clean you are inside. Also implant the grass after the SWF, twice each day for the rest of this fast if you can, or next time you do it. Maybe one day a week you could fast after fast ends and do it that day. Thats pretty much about it. 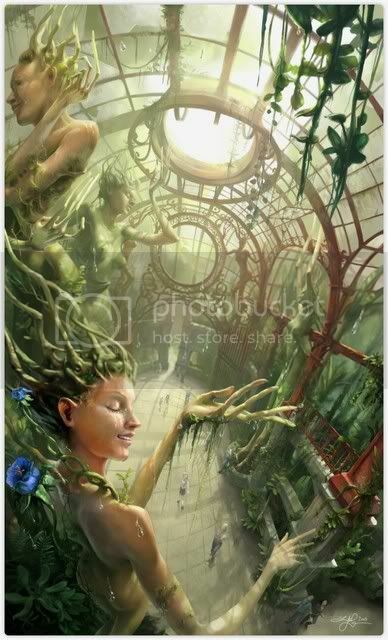 You can order off Amazon.com, a book by Anne Wigmore called Wheatgrass, used paperbacks are probably five bucks or something like that. Read it, it will teach you how to grow the grass, this is how I learned. The super soil is important. Be sure not to get the soft wheat berries, they are for rejuvelac and not the WG trays. Get HARD winter wheat berries. Two cups make one tray. So get loads of them. Start a new tray every 3rd day. Good luck and I really hope this helps your hair, I know it will. Wheatgrass has silica in it which is what hair is made of... so don't delay another day! Get going. In the meantime get shots from health food stores every day til the trays are ready. Also never drink old wheatgrass, it is meant to be drank as a baby sprout, if a tray starts to wilt throw it out. If it gets to tall it's not as sweet as the shorter grass, and has less life force in it. Last edited by shivabliss on Tue Nov 23, 2010 7:25 pm, edited 1 time in total. I just put the wheatgrass in my sick sinus cess pool and it's working unbelievably well. Gosh, if I knew this, I would have done this a year ago. The wheatgrass is like oven cleaner it's pulling so much goo out of my sinus that I have had to cancel my evening of going out, because all I can do is blow, blow and blow somemore. I can barely breathe through my nose, well, I can't breathe through my nose, it's completely plugged. I wish I would have done this in the morning instead of late afternoon because I will have to breathe through my mouth when I sleep tonight, which means I am not going to sleep very well at all. Bummer. But I am glad it's pulling out the goo. The wheatgrass caused a burning in my ear tubes and they itched and my neck turned all bright red, and got a rash.... intense! This is just from about one teaspoon of WG in my nose. This is going to be a long process, I am glad I am resolved to stay on board for a full forty days. I am going to need to stick around for the long haul. I always say a ten day fast is like hosing mud off your car, that is great, but if you want the car detailed with it working like the day you bought it, you are going to have stay around for the long haul. This first seven days is an awesome beginning and even after this fast ends everything will have to change, or I am sure to get myself right back into the same mess I was in. We can't have that. I am going to have to start planning what my diet and lifestyle are going to be like once this is over. I am very excited because I can intuitively feel that I am on the right track. This is going to turn the page for me this forty day fast. It's going to stop the suffering, Something no doctor could do for me. I don't know why I waited so long. thanks for this thread, shivabliss, i just read it entirely and your words are so inspiring! your journey so far is amazing, i'll follow it further. i will start my first MC on saturday, 10 days after your start. like you i intend to meditate twice per day and to break some nasty habits. Last edited by shivabliss on Wed Nov 24, 2010 6:34 am, edited 1 time in total. I know the constant looking at my body causes my mind to think that I am confined in this flesh. But I am not incased in this body, I am in everything in the body of the cosmos. If I keep thinking of myself as this body, then I will become limited by it. But if I keep meditating each and every day of my life on the Infinite, I will become unlimited. Today I transfer my attention from the finite, my little space where my body lives- to the infinite! I refuse to be that same old mundane person so busy looking after my own self, that I forget the rest of the world. The cosmos is my home. I am learning on this fast to overcome hunger and pain. I am conquering appetites and attachments that govern my little body, for as long as I am focused on my body, my soul cannot remember my omnipresent nature. I must behold my greater self which is embodied in all others. Last edited by shivabliss on Thu Nov 25, 2010 8:54 am, edited 2 times in total. Shivabliss; Thank You so very for all the detailed information you provided in your response. I am in So.Cal., so I should not have too much of a problem with the Wheat Grass if I follow your instructions. Southern California has many stores with WG trays already made,so you can pick up a few to get you started. God's grace to you! I can barely breathe this morning, I am coughing so much mucous up out of my lungs. I have no desire for food. 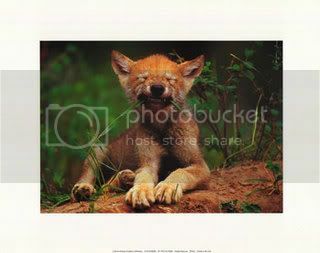 Even though I had very little sleep last night I awoke feeling alert and rested. I find that quite amazing, but when fasting you just don't need that much sleep. Before my SWF this morning I drank a bottle of plain water with half a lemon squeezed in it, to make sure I was hydrated enough to do the flush. After the flush is over I will drink 3 ounces of Wheatgrass and Implant another 3 ounces and put several drops in my nose. It really should be professionally drained in the hospital. The docs were going to do that, but then I left for Italy. I turned off the insurance while I was gone, and I don't have any right now. All the doctors did was make me confident that I don't have any serious illness. They ran all the tests and came back with a diagnosis of allergies. I think I wasted my money. I know I did. This is not allergies. Anyway, doesn't matter, the fast is a cure all. I am taking charge of my own road to recovery. I am scared to put the WG drops in my nose again this morning, because I know it's going to plug up my air waves and I will have to breathe through my mouth all day. Yesterday I put about one teaspoon in my nose, and it was blocked like there was a brick in there for a full six hours. But it worked it pulled so much junk out of my nose, I was in awe. I have already picked up supplies to make more juice today. I only drank half of what I made yesterday. So I will finish the other bottle first. If money were no object I would throw it out and make a new one, fresh is infinitely better, but I am on a budget, so I will just be grateful for what I have available to me. I really am doing great considering... 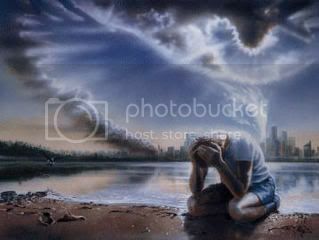 I awoke singing this morning "I am opening up to the love of God, opening my heart to the love of God. 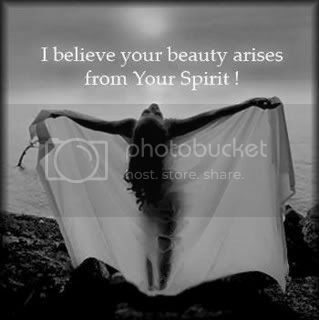 I am open- opening- like a river... opening my heart to the joy of God!" It's so true. My lungs have finally stopped gagging up the mucous. That only took about a half hour! Yay! I am well on my way to recovery. This evening was hard, I felt weak and really wanted to eat, but this is because I did not follow my routine today. I was basically on water since 1PM. Not good. I left the house thinking I would be back soon, but stayed away for 9 hours. I felt awful. I know now that there is no way I can go to Thanksgiving parties tomorrow. I will eat. My friend ate a turkey sandwich in front of me today, and I wanted it so badly. Then I went to the movies and everyone was eating popcorn, and the movie was too stressful, it was the new Russel Crowe film, "The Next 3 Days". My heart was pounding out of my chest watching it. All this is not good advice for a faster. Never leave home without your supplies. I did get a big bottle of E3Live today. I ran out of my wheatgrass and the other tray won't be ready for days and E3Live is a great WG substitute. Wonderful for you. I am so tired, I am just going to sleep now. What a day, it is a miracle I did not eat. On a good note, I am down to 128 pounds, and my face is glowing. 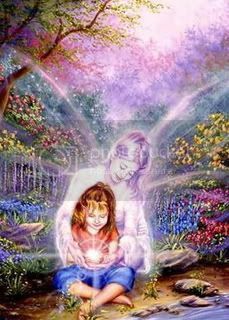 I felt like there was an angel all around me today, helping the little child in me deal with fragile state I have been in. Last edited by shivabliss on Thu Nov 25, 2010 12:19 pm, edited 2 times in total. Last night in the middle of the night I expelled about a dozen dead tape fish worms. They were all curly and rolled up into balls, covered in wheatgrass it looked like. I WAS RIGHT. The root of my illness has been parasites. Thank God I know how to do WG implants, because I am sure this is what pulled them out. The herbs killed them, but the grass purged them. I think even all the garlic I am drinking is helping to kill them along with the ginger root and the Jalapenos. Drink that you little buggers! I got them from eating sushi 2 years ago. For two whole years I have had these varmits living inside me. The medical profession does not treat people properly for parasites. The pills they give only kill adults. To kill the eggs you must take CLOVES, every day, all day, for a year. This is info I learned from Dr. Hulda Clark. Parasites cause sinusitis! I knew it. I just knew it. I am so glad to see that this fast along with the parasite killing herbs are doing such a wonderful job. They are dying and coming out of me. Now I have to kill every last egg. Dr. Clark says to stay on the program for a year to get past this. My breathing this morning is deep and clear. It is a miracle. I do not think I wll go to anywhere around food today. I am way too vulnerable. I will celebrate my Thanksgiving, by truly giving thanks from the bottom of my heart to God, for helping guide me to kill my parasitic condition. I am so thankful and feel truly blessed that my inner self knows how to heal me. Why I waited so long, has me lost. I knew that if I would just do a long term green juice fast I would recover. I suppose I should just bless it all, and release it all, everything it took to bring me to this healing day, and just be grateful it is passing. Last edited by shivabliss on Thu Nov 25, 2010 12:22 pm, edited 1 time in total. I am amazed to report that today there was only a tiny bit of mucous coming out of my sinus and lungs. This is the deepest I have been able to breathe in a long, long time! Fasting is so miraculous! I am extremely tired this morning and it's because I am dehydrated. I drank a big amount of water before my flush, but I should have drank more. The flush worked but I only got about 3 evacuations instead of 8 or so. My body sucked up the water from the SWF again this morning. Then I just slept until about noon again. I must remember to keep drinking water. Water, water, precious water. A fasting soul needs a ton of water. I am just now sipping on my green drink. It's super powerful today. Just what I need. So many nutrients in my gorgeous drink. Later same day... I am still in bed. Just can't get up. I must be detoxing something major today. I am just honoring my body and resting. Too tired to meditate. a few hours later... I drank about 3 ounces of E3Live, and did a wheatgrass implant and low and behold I am up and out of bed and feeling normal. I feel amazing today. I have had no sinus discharge at all and can breathe free and clear. I am amazed! I spent the afternoon at a wonderful beach called McKenna where I swam with a Golden Retriever and a boogie board, just floating in the sea. It was just the spa treatment I needed. The sun and sea are so rejuvenating. Can't believe it's almost Christmas. just wanted to ask, what exactly has happened? 2 years ago when I did my first fast you were saying how much fasting had changed your eating habits and your life forever and you were so successful.. now it sounds like you went back to junk food and lost all your fasting benefits? could you please explain what went down?